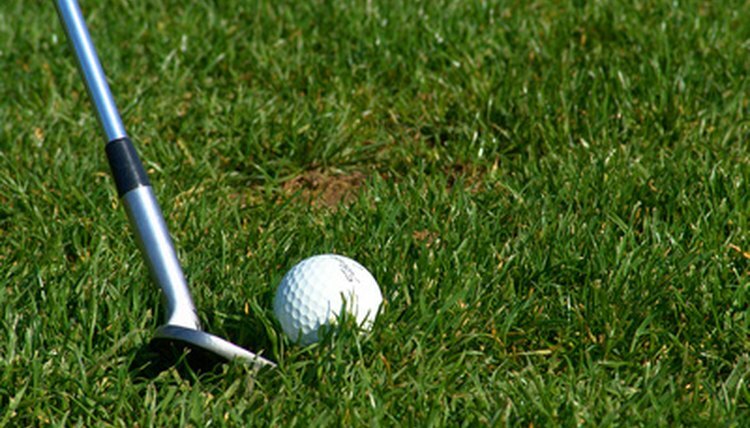 Golf clubs have different parts which contribute to the overall performance of the club. Each component of the golf club has unique characteristics. Rarely will a club "off the rack" have the exact grip, shaft and club head that is best for your game. In order to choose the best golf club for you or to custom build a set of golf clubs, you need to know about the parts of the club. The grip is made of a synthetic rubber composite. There are grips designed to suit every golfer's preferences. The most popular designs are wraps, cords and non-corded. Wraps are usually the cheapest of the three designs. They are designed to be good in the rain and with sweaty hands. 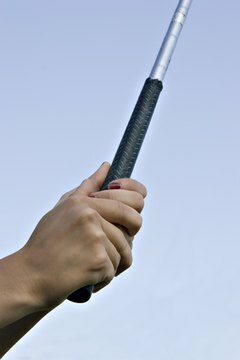 Wrap grips can help golfer with proper hand placement. Corded grips look fuzzy--it's actually the inside material of the golf grip pulled through to the outside. Cords have a tough feel to them and are durable. Cords offer a responsive feel when hitting the golf ball, but also cost the most. Non-corded grips are smooth and seamless. They deaden the feel of impact on the hands. The thickness of the grip is your next consideration. Each style of grip is available in undersized, standard and oversized varieties. The length of your hands and fingers will dictate which size grip to use. The club's shaft is constructed of steel or graphite. The shaft acts as an extension of your arms. The shaft allows you to control the club head. A steel shaft is a heavier than graphite. Steel shafts also have a stiffer flex and less torque. 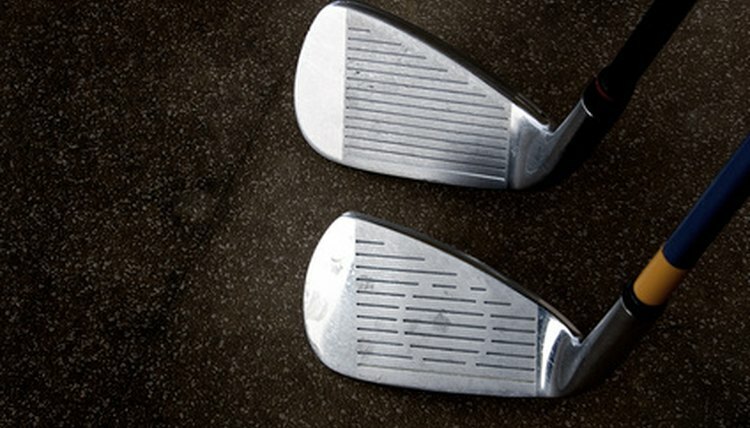 These characteristics generally make steel shafts more accurate than graphite. Steel provides vibrational feedback to the golfer both on solid and mishit golf shots. The benefit of graphite is its light weight and additional torque. This will aid in increased clubhead speed and higher golf shots. Graphite shafts dampen the vibration at impact. Some golfers prefer this, especially those who have frequent mishits. The player-friendly characteristics of graphite tend to make it the shaft of choice for beginners, children and high-handicappers. Once you choose steel or graphite, there is also flex to consider. Flex refers to the amount of "bowing" the shaft has during the swing. The faster your swing speed, the stiffer the shaft flex you will need. The shaft is inserted into the hosel, which looks like the neck of the club head. The ferrule is a round black piece of hard plastic that covers the area where the shaft and hosel meet. The ferrule serves no functional purpose; it's used for aesthetics. Some clubs use a bore-thru design instead of a hosel. Bore-thru club heads have a hole in the heel of the club that runs entirely through the head. The shaft is installed into this hole. Club heads are designed with either titanium, steel, tungsten or a combination of those metals. The club head is the heaviest component of the golf club. The weight helps the golfer produce club head speed and keep the swing on-plane. The face of the club has scorelines or grooves on it. The grooves serve two purposes: to impart spin on the golf ball and to wisp away moisture between the ball and the club face. How Do I Determine Tip Thickness of Golf Club Shafts?